We received a sizable shipment of nearly 200 bladeRFs on Thursday, we’re calibrating them over the weekend. This also means that we now have enough units to fill every order! Most orders that will be filled next week are going to international backers, which take a considerable amount of time to prepare correctly. Things should move more smoothly and quickly now that we are working with order fulfillment specialists to send bladeRFs internationally. 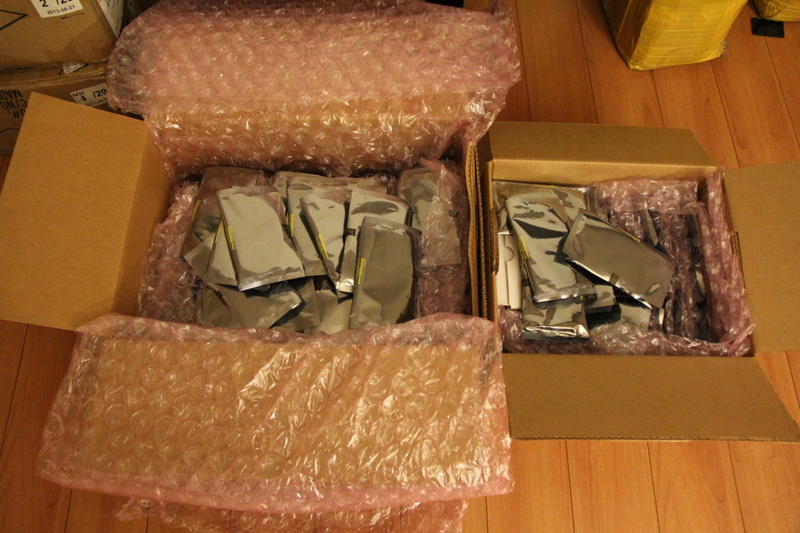 Also, all of the GPIO boards were manufactured and delivered to us this week. The boards have all been tested and are also ready to be mailed to be mailed out as well. If you ordered a bladeRF and a GPIO expansion board, and have only received the bladeRF until now, we will now mail your GPIO expansion board. Here’s a close up of the GPIO board with the very bright tri-color LED turned off. 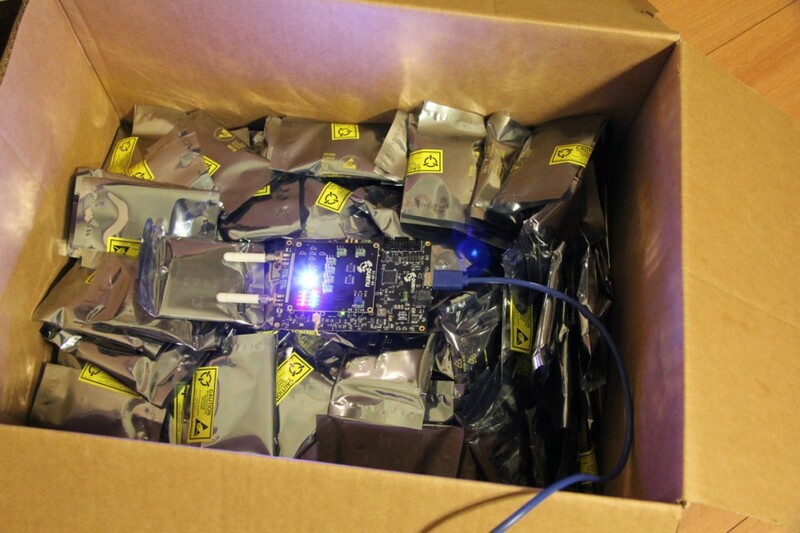 We shipped nearly 230 boards this past week! Surprisingly, the most time intensive part of the whole order fulfillment process, besides testing and calibrating each unit is actually boxing and shipping the units. We have received additional help so when we get the next batch of 100 units we will ship them all out within a day or two instead of taking a whole week. The Linux driver is nearly complete and stable; several important concurrency patches will be committed by the end of the weekend that will address issues some of you may have experienced. Also, we are now planning on including additional Linux support by using libusb, this will also allow us to quickly port the code to Windows and OSX. 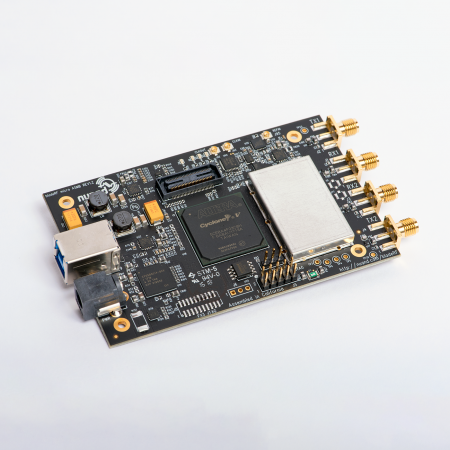 The Linux driver will still continue to exist as our default Linux support because of the incredibly low SDR latencies we can achieve with it and the bladeRF. Preliminary testing has shown that we can easily go below 10us! 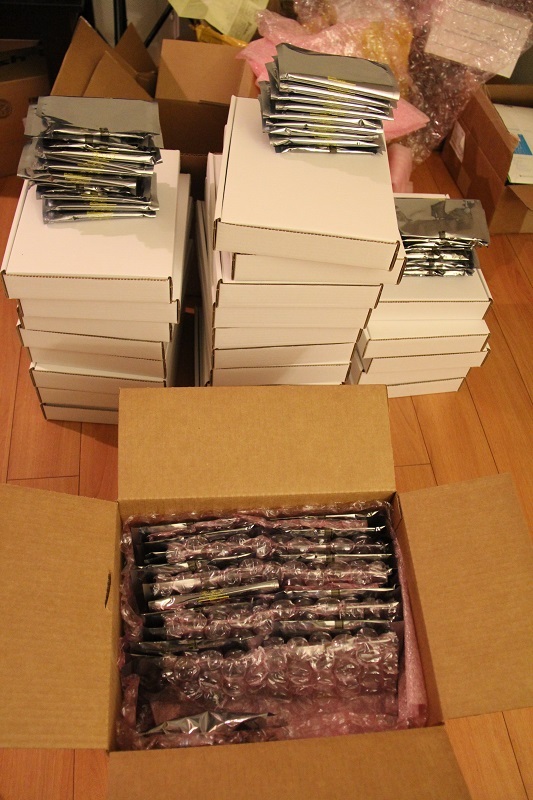 Lastly, here is a picture of the last 70 units before they were shipped. We have received about 200 bladeRFs, and sent out about half of them. We intend to double the number of calibrated and shipped boards by the end of this week. But if everything goes according to plan and we get lucky enough, we might be able to ship as many as 300 by the end of next week. In addition, the GPIO expansion boards will be here at the end of next week. For those of you that have ordered the GPIO boards and already received your units, we will ship you the GPIO boards separately. If you have any questions about your bladeRF please post to our forum at http://nuand.com/forums/ . We are also available on IRC in #bladeRF on Freenode. 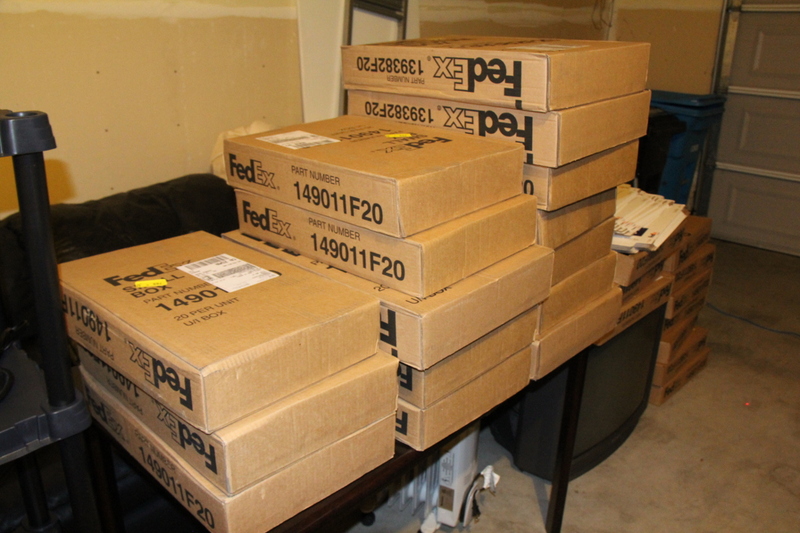 Here are a couple of pictures of our order fulfillment operation! 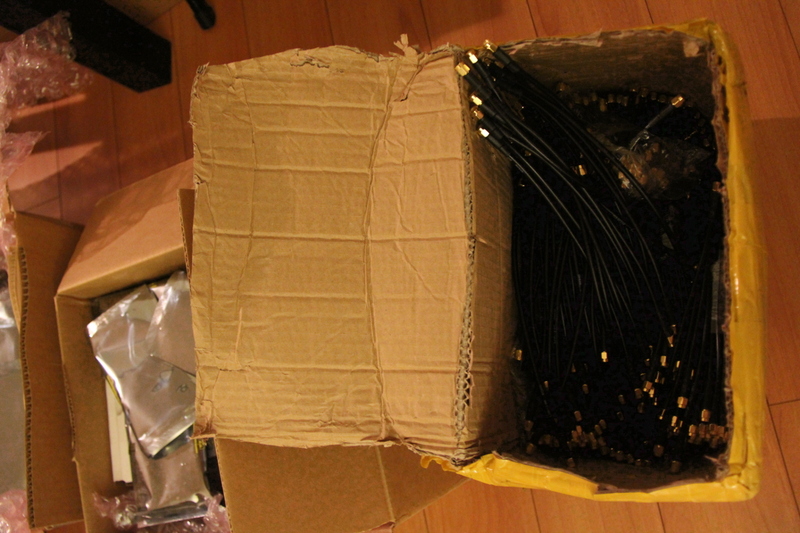 This package is the third batch from the mass production run, it contains about 80 x115 bladeRFs. The second box (on the right) has about 60 x40 bladeRFs. 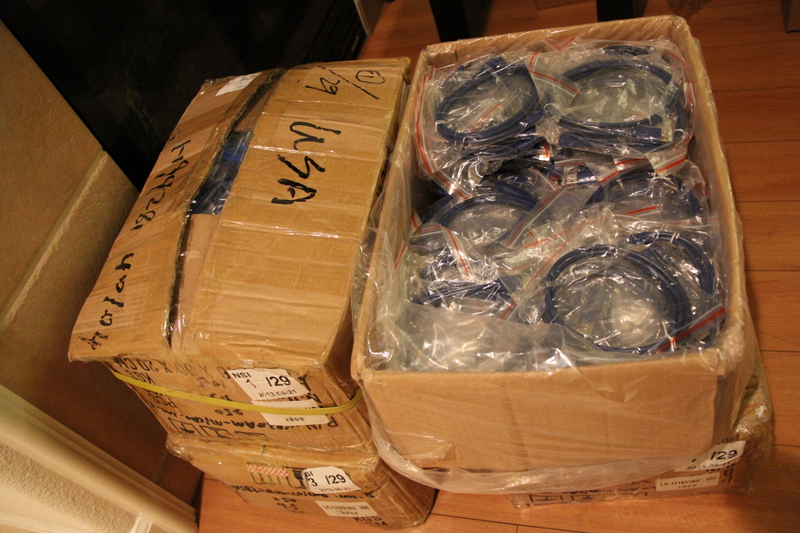 Here we have several hundred USB3.0 cables. Here we have a lot more SMA cables. At this station the bladeRF will undergo its calibration. Its VCTCXO will be calibrated against a recently calibrated Agilent Technologies 53220A frequency counter. 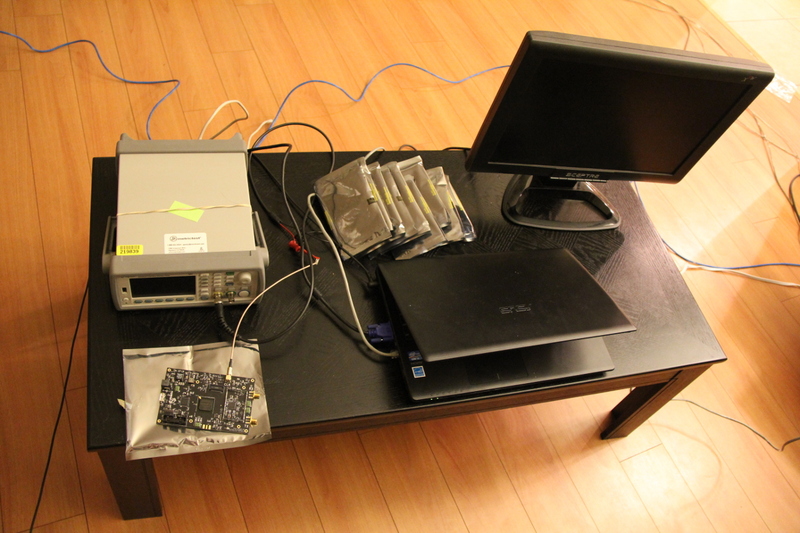 Once the VCTCXO is calibrated, it undergoes several RF tests where it is compared and test with a known good and calibrated unit. All bladeRFs are calibrated to within 10ppb but every once in a while we see an exceptionally well calibrated unit. 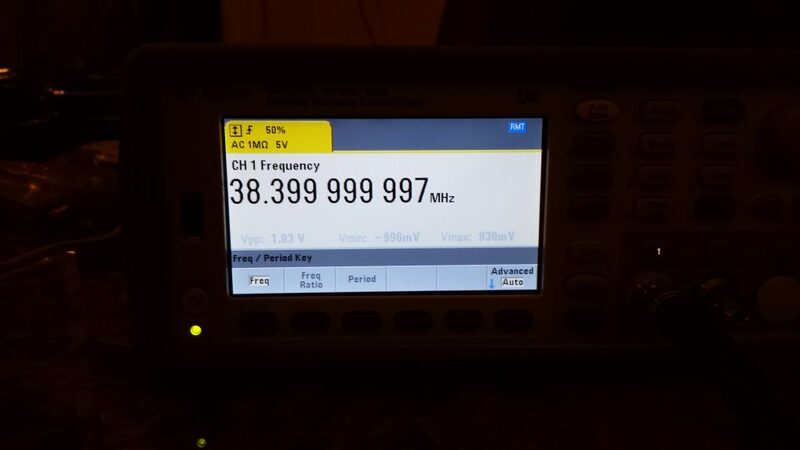 In this picture the 38.4MHz VCTCXO was calibrated to 38.399,999,997 MHZ long enough for us to take a picture of it. This works out to around 0.078ppb (parts per billion) or 78ppt (parts per trillion) error. In reality thought our VCTCXOs are calibrated to within 10ppb. 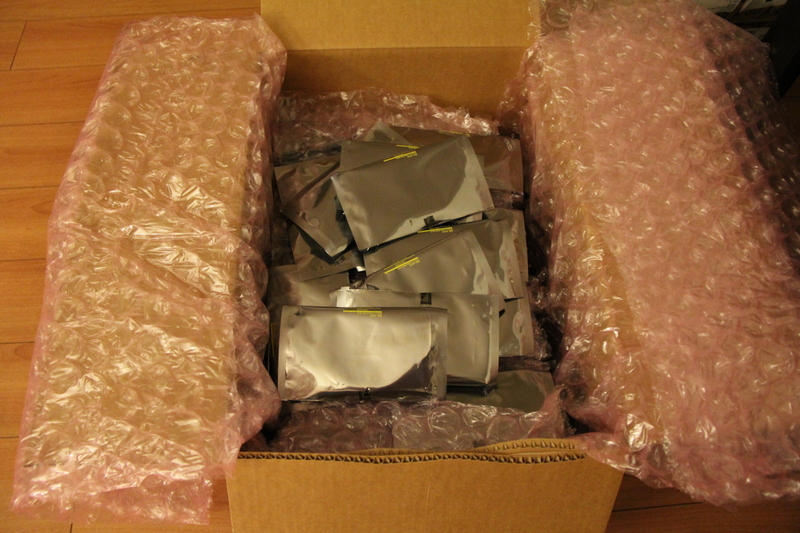 And lastly, here are a bunch of packed units ready to be picked up.